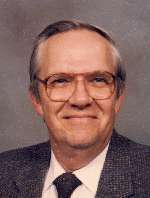 Raymond B. Walorski, 72, residing in South Bend, passed away at 8:30 p.m. on Thursday, May 31, 2007 at his home after an extended battle with cancer. Mr. Walorski was born on August 19, 1934 in South Bend to the late Benedict and Gertrude (Beitler) Walorski. He has remained a lifelong resident of South Bend. On October 26, 1957 in South Bend, he married the former Martha C. Martin who survives. Survivors include, along with his wife of 49 years, Martha, one daughter, Jackie (Walorski) and Dean Swihart of Lakeville; two sons, David and Karen Walorski of Osceola, and Keith and Brenda Walorski of South Bend; four grandchildren, Ryan Walorski of Osceola, Michael and Ashley Walorski, both of South Bend, and Christine and Tim Lucio of Del Rio, TX; two great grandchildren, Ethan and Elisabeth Lucio with a third great grandchild on the way; and two sisters, Betty and Norbert Hechlinski of South Bend and Kathleen and Henry Williams of Temecula, CA. Mr. Walorski retired from the South Bend Fire Department where he enjoyed 18 years of employment. He was also the owner and operator of South Side Appliance Service, South Bend. Mr. Walorski was a member of Christ Chapel, South Bend and proudly served his country with the United States Air Force. He was a graduate of Washington High School, Class of 1952. Funeral services will be held at 11:00 a.m. on Monday, June 4, 2007 at the Palmer Funeral Home-Guisinger Chapel, 3718 S. Michigan Street, South Bend. Rev. Stephen Sumrall and Rev. Lloyd Decesaro will officiate. Graveside services and burial will follow at Southlawn Cemetery, South Bend. Friends may visit with the family from 2-6 p.m. on Sunday, June 3rd, at the funeral home. In lieu of flowers, memorial contributions may be donated to Impact International, Inc., specifically for Casa Shalom, a Christian orphanage in Bucharest, Romania. Please mail contributions c/o Palmer Funeral Home, 3718 S. Michigan Street, South Bend, IN 46614.